The rumors about the Broncos going out and getting a new quarterback to run the offense in 2018 continue to grow, as there was already a number of reports about the team making a push for Redskins quarterback Kirk Cousins. 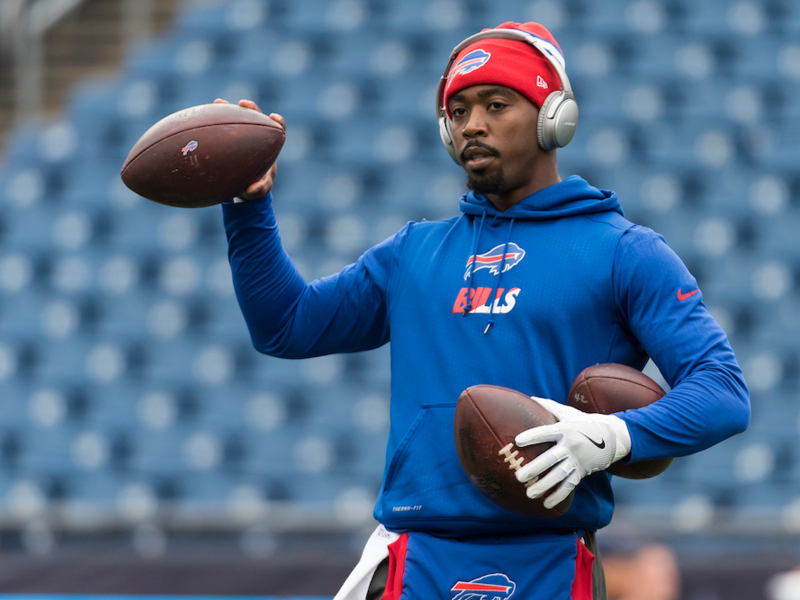 Now there’s another name in the mix for the Broncos that could come in and run their offense next season, and that’s Buffalo Bills quarterback Tyrod Taylor. The 28-year-old Taylor helped the Bills make the playoffs this offseason, and John Elway’s right-hand man – former coach Gary Kubiak, worked with Taylor while he was in Baltimore. Kubiak was the offensive coordinator in Baltimore during Tyrod Taylor’s fourth and final season with the Ravens. Taylor never started a game for the Ravens, and when he hit free agency in 2015, he opted for Buffalo over, reportedly, more money in Denver, where he probably would have been third string behind Peyton Manning and Brock Osweiler. In his last three seasons as the Bills’ starter, Taylor went 23-21 while completing 62.6 percent of his passes for 201.3 yards per game, 51 total touchdowns and only 16 interceptions (the Broncos’ quarterbacks had more than that in the first 13 games of last season alone) for a 92.5 rating. In a Week 3 win over the Broncos, Taylor gave Elway and Co. a close look at what could be, completing 20-of-26 passes for 213 yards, a pair of touchdowns and a 126.0 passer rating as the Bills’ offense marched over the Broncos, and quarterback Trevor Siemian tossed a pair of interceptions in the second half. It could be an interesting fit for the Broncos, and if they can score Taylor, who threw 14 touchdowns and just four picks this last season, at the right price, it might be worth the fight to get him. Taylor is due a $6 million roster bonus when free agency opens in March, so having him back with the Bills seems like a stretch at this point. DB, as Talib possibly may be back unless he wants to stay with the Broncos with a Salary Package chock full of insecticides and delayed highpay until the end of his contract. And Elway is a fantitic master at that. But regardless they need quality depth at the CBs. So it could be a great team to return Denver into a steady winning team in the Division and the AFC!